All Black Selector Grant Fox has confirmed he will attend both the Pro-Player Combine and Emerging Coaches Course, to be held later this month. ‘Foxy’ wore the All Black jersey between 1985 and 1993, amassing 645 points from 46 Test matches, and playing a pivotal role in the 1987 World Cup-winning All Black side as their master tactician goal-kicker. Fox was highly regarded for his kicking and goal-kicking ability as a player, and now specialises in these areas as a Coach. Since 2011, he’s worked with the All Blacks as a Selector. ‘Foxy’ last attended IRANZ as a Staff Coach in 2014. Fox last attended IRANZ in 2014, where he worked with both player and coach participants in the kicking area and also as a first five-eighth Position-Specific Specialist. Pro-Player Combine and Emerging Coaches Course participants will have the opportunity to work with Grant Fox in these same areas when he attends IRANZ later this month. 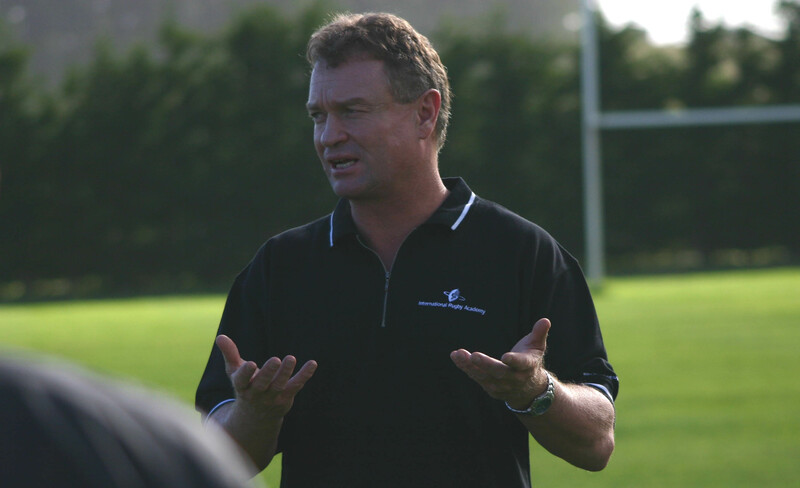 Grant Fox’s extensive experience as an All Black Selector makes him the perfect Staff Coach for our first-ever Combine; where player participants will be learning and identifying exactly where they need to develop in order to gain selection for higher honours. Former All Black flanker Rodney So’oialo will also be in attendance in late November. Further IRANZ Staff Coaches for the these programmes will be announced shortly.